One of the beauties of a hand written letter is that they can live on long after the writer is gone. Be the reason sentimental or historical, reading a hand written letter from long ago packs an emotional response like nothing else. 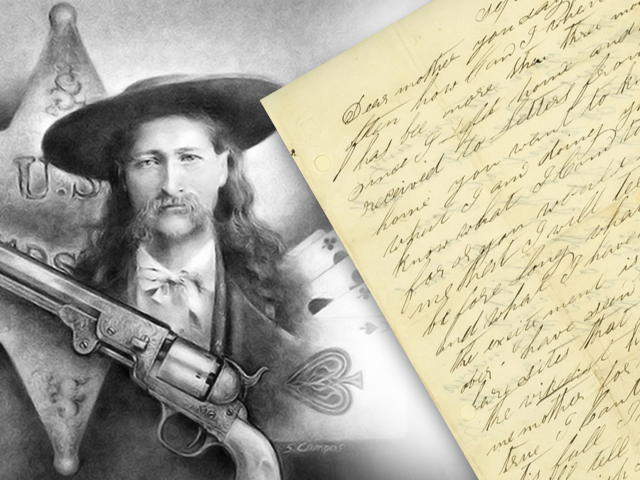 Interesting Fact: Legend has it that before Hickok was shot he had lost all his money and had to borrow $50 from the house to continue playing. When shot, he was holding a pair of aces and a pair of eights, all black. The fifth card had been discarded and its replacement had not yet been dealt. In poker, a two-pair of aces and eights is known as the dead man’s hand. Thank you. This information is inspiring and thought provoking.